Found Dog - Chi mix? Coloring: Black with white legs. 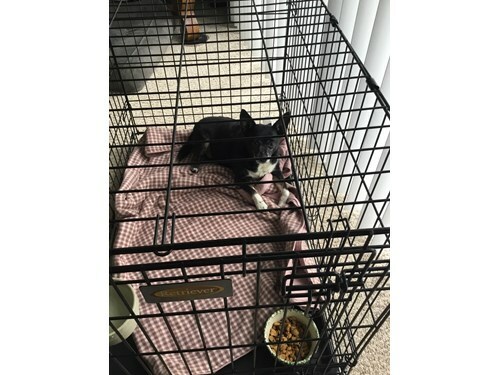 Comments: Very sweet older male chi mix, housebroken and crate trained. Hasn’t even barked once. Found out in cold rain and jumped right in my car. Chubby and loves another dogs so obviously owned and loved by someone.